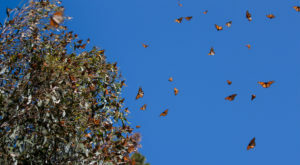 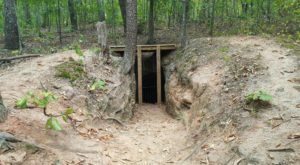 Whether you’re a true nature lover who loves to explore the outdoors, or a history buff who likes to spend weekends adventuring through different pockets of Georgia, our beautiful state is truly the best of both worlds. 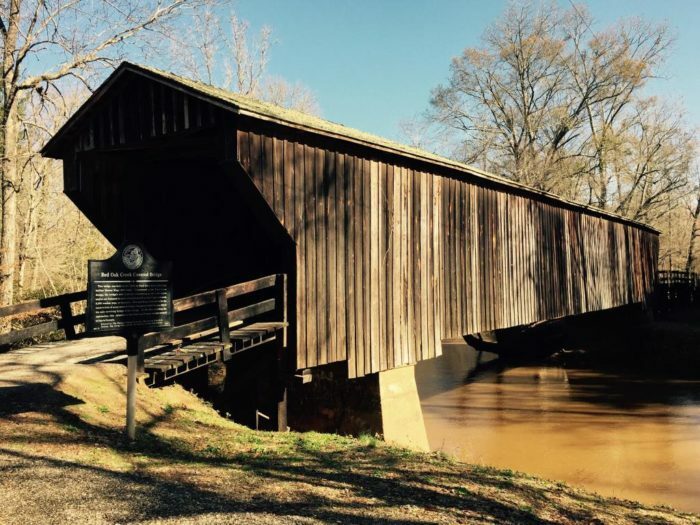 Especially when you visit this remarkable bridge with such a fascinating history. 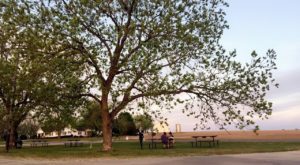 Built in the 1800s, take a look at this true architectural work of art. 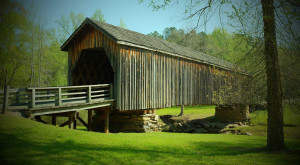 The spectacular bridge known as Red Oak Creek Covered Bridge in Gay, Georgia is a truly historic spot most residents don’t even know exists. 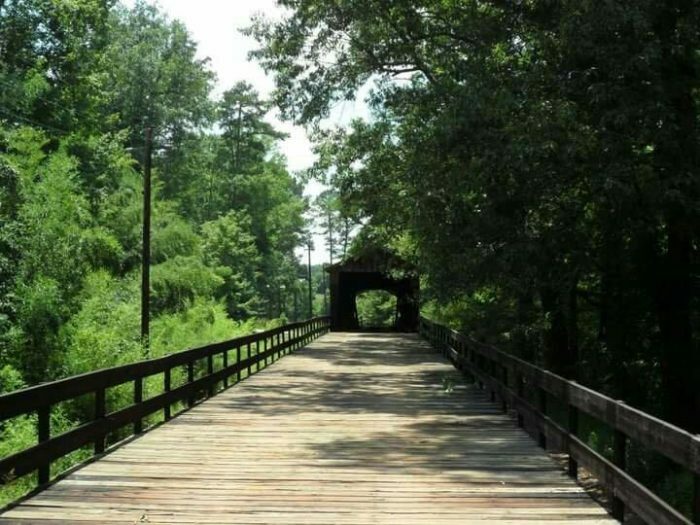 Just a mere 12 miles from Warm Springs, Georgia, this old bridge stretches for 391 feet, which makes it the longest wooden bridge in Georgia. 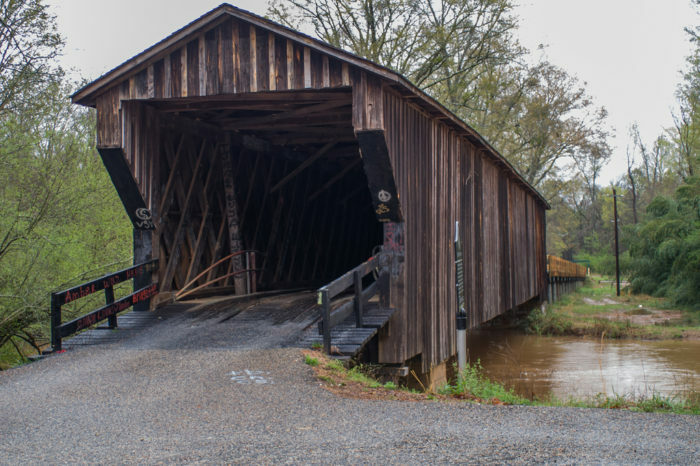 What is most fascinating about this bridge, and what makes it so rare, is that its design and construction was so precise—so perfectly solid, that is still remains usable to this day. Constructed by famed bridge builder Horace King, the Red Oak Creek Covered Bridge used wooden pegs to fasten the beams together rather than iron, which was in short supply back in the Old South in the mid-1800s. 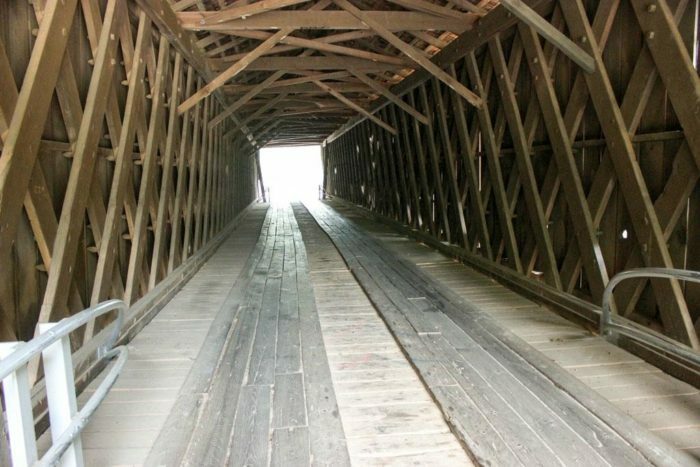 The long wooden planks and criss-crossed beams make the inside of the bridge almost look like it’s a garden trellis. 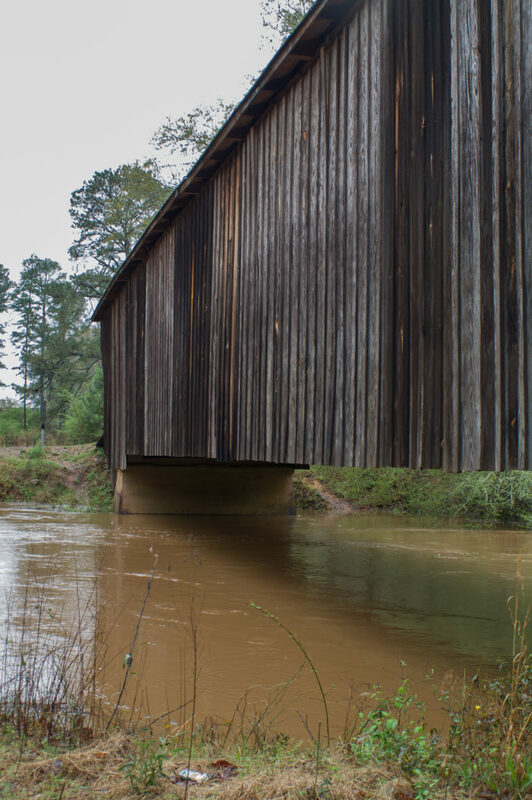 Horace King was best known for his bridges throughout the South, especially as a master builder for covered bridges. 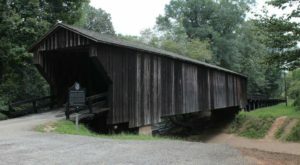 However, out of every bridge that Horace King built, the only one that remains in use today is the Red Oak Creek Covered Bridge. 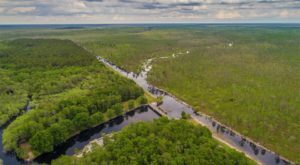 Spend the day traveling through the community of Imlac, Georgia and take a trip across this remarkable wooden bridge for a trip through history. 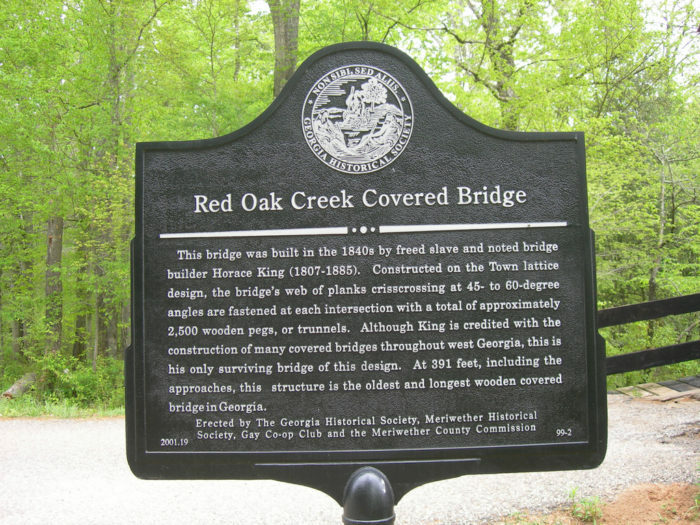 To find Big Red Oak Creek Covered Bridge, head on over to the small town of Gay, Georgia. 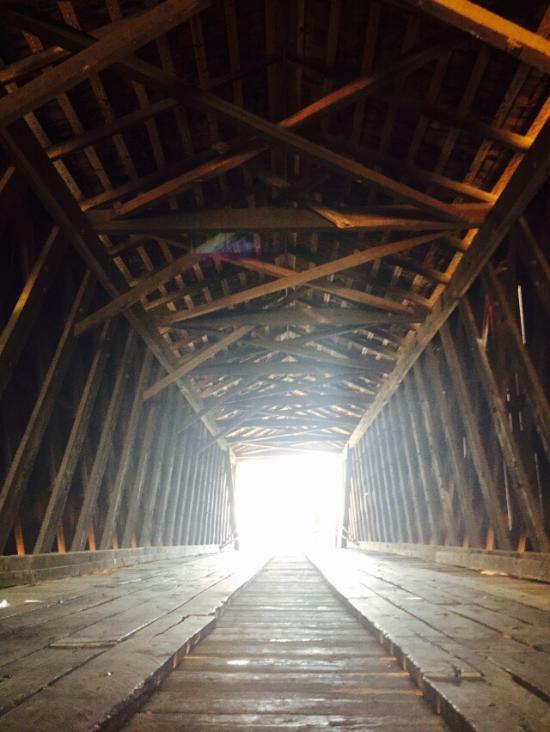 If you’ve ever ventured through this bridge before, share with us your story in the comments section! 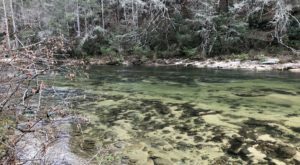 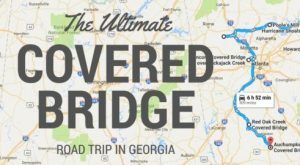 Also, if you’re looking to make a bit of a road trip out of it, take a look at this covered bridge road trip through Georgia.